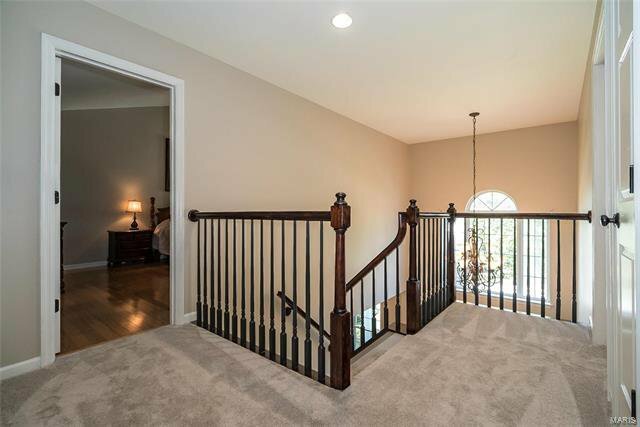 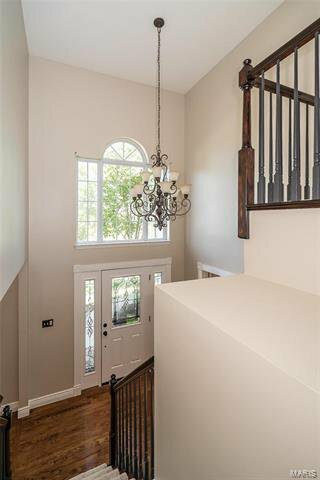 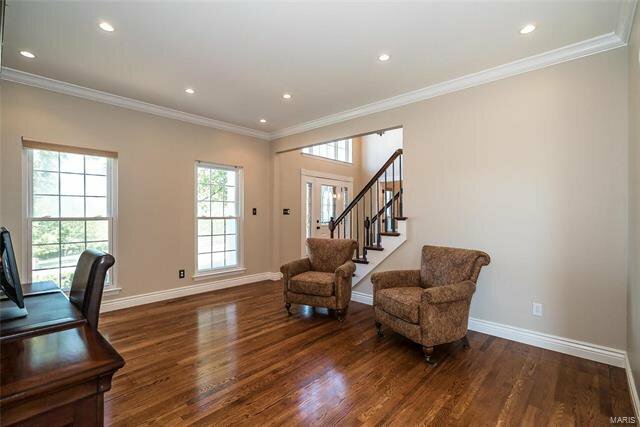 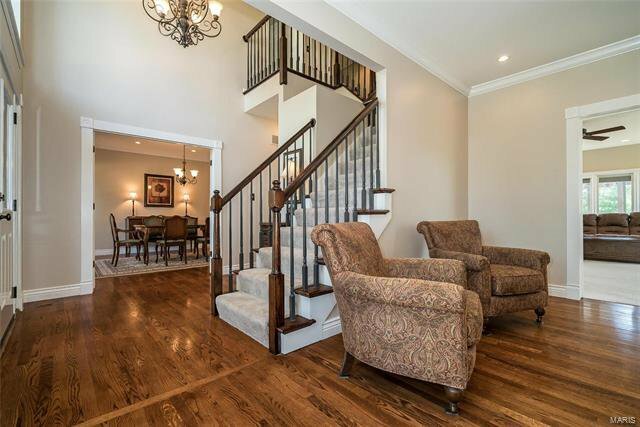 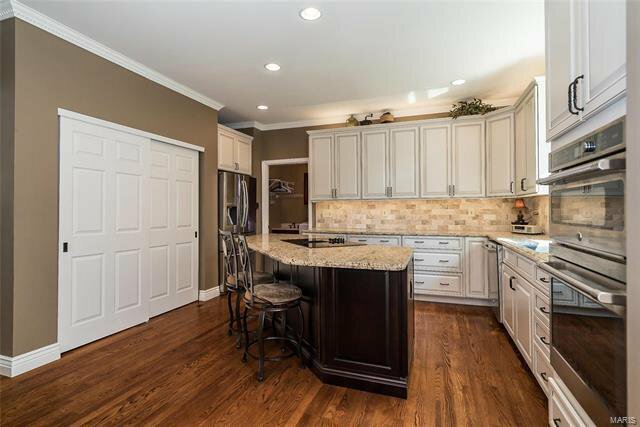 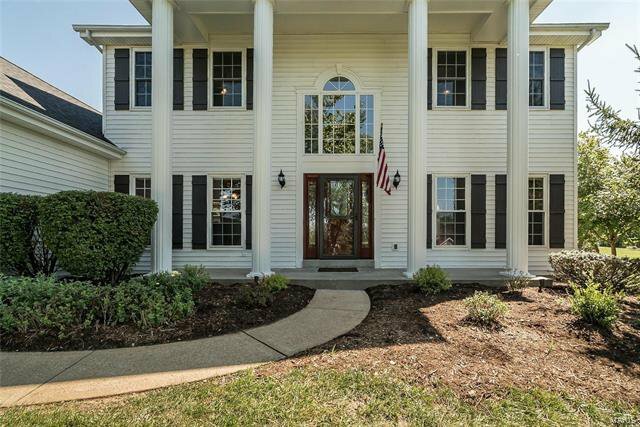 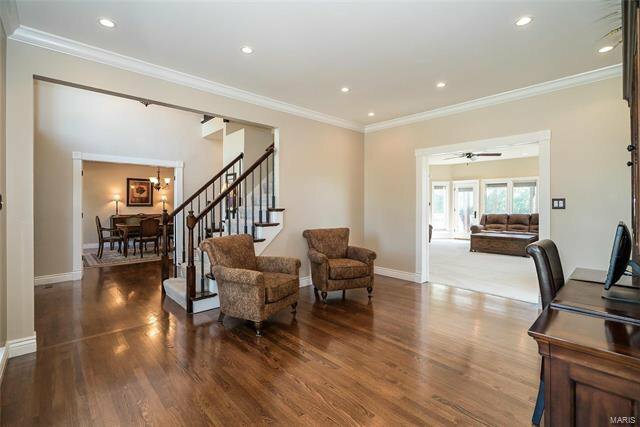 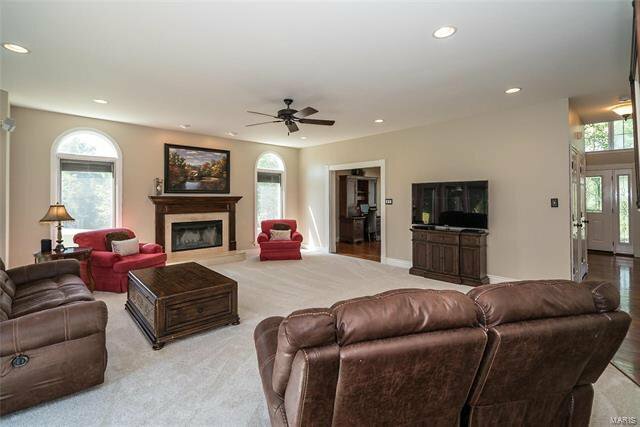 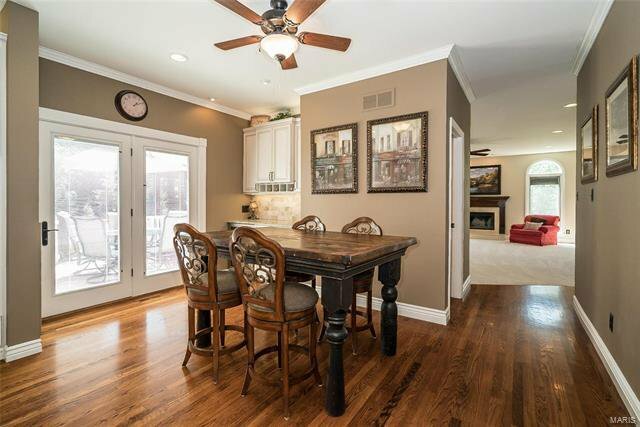 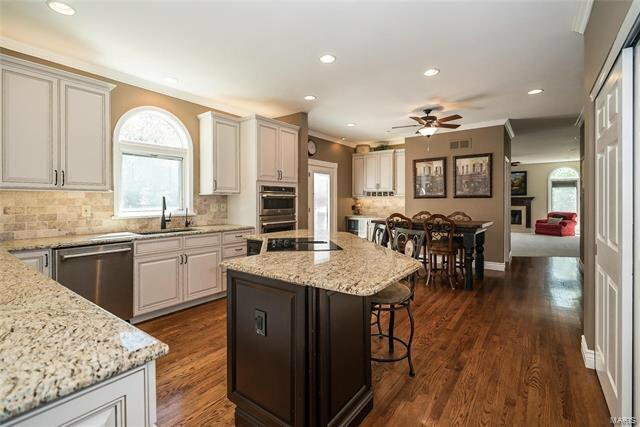 Move-in ready executive style home in desirable Wildwood neighborhood of Radcliffe Place, only 35 min to Lambert Airport & 20 min to Cfld Valley. 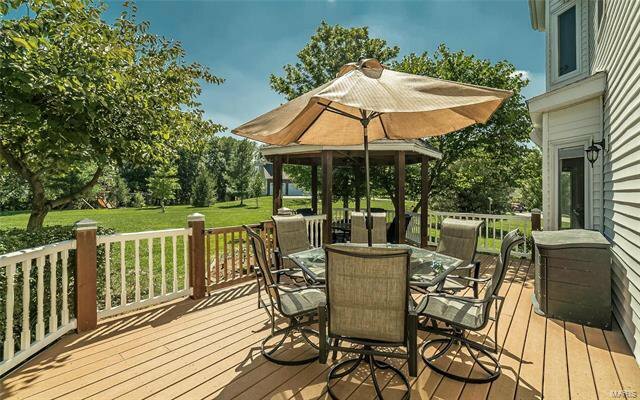 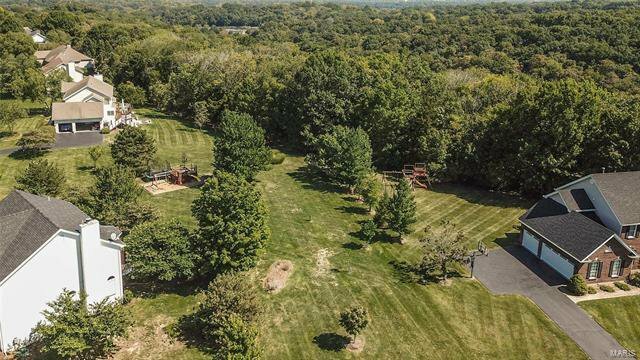 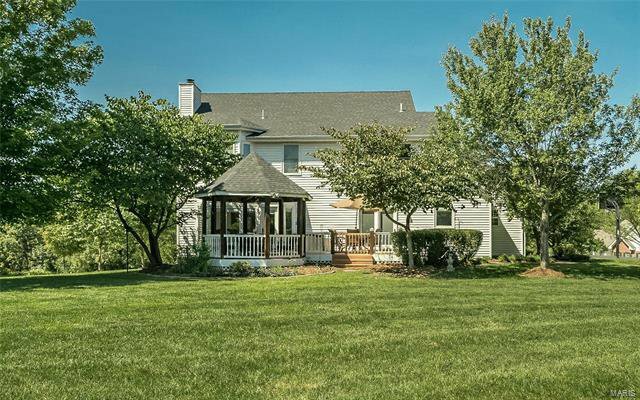 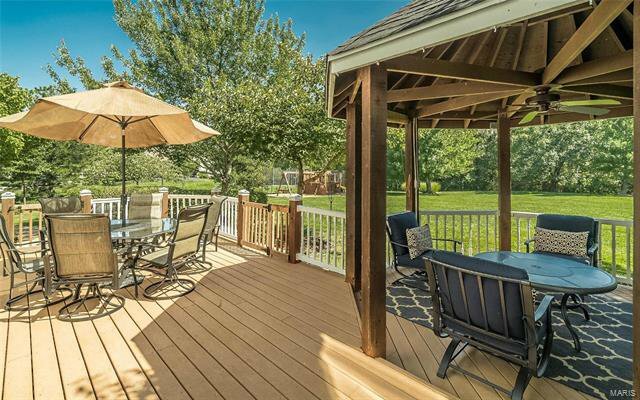 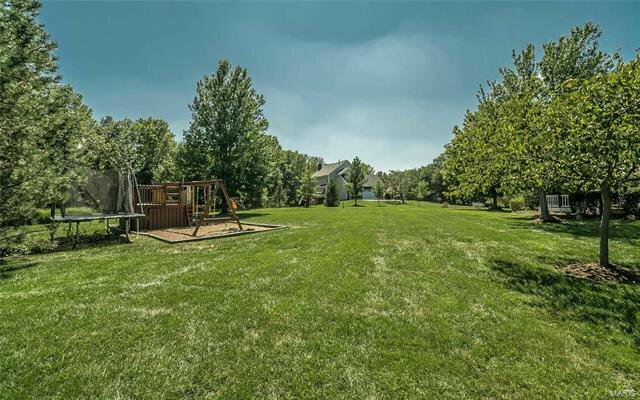 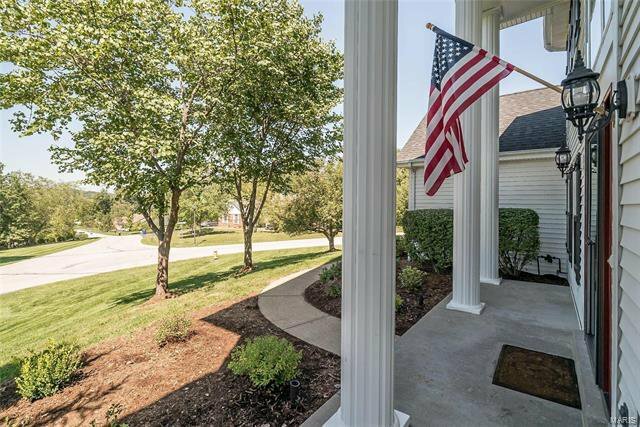 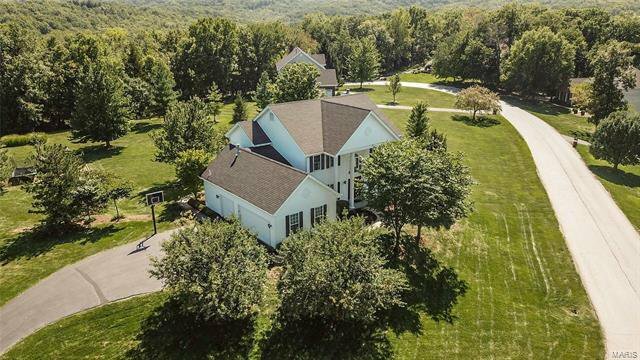 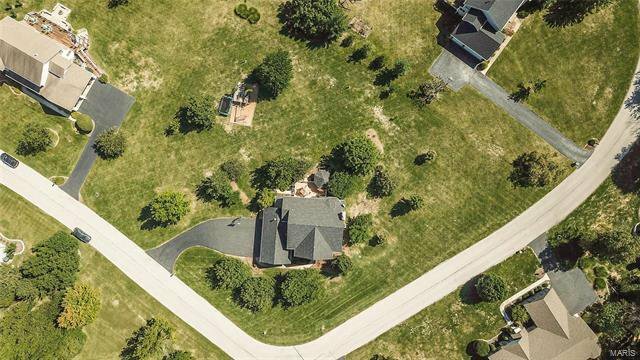 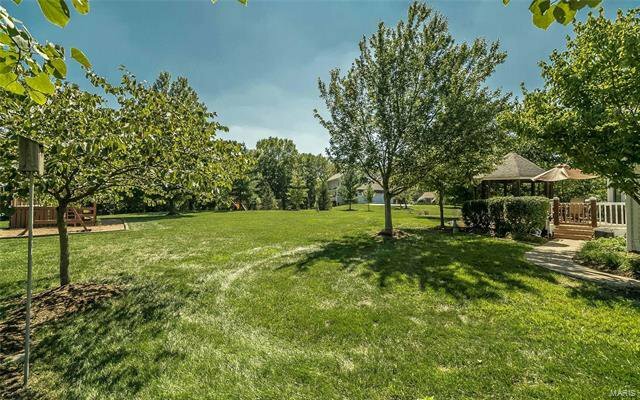 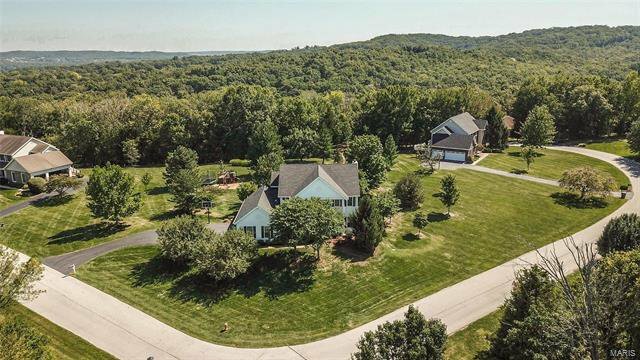 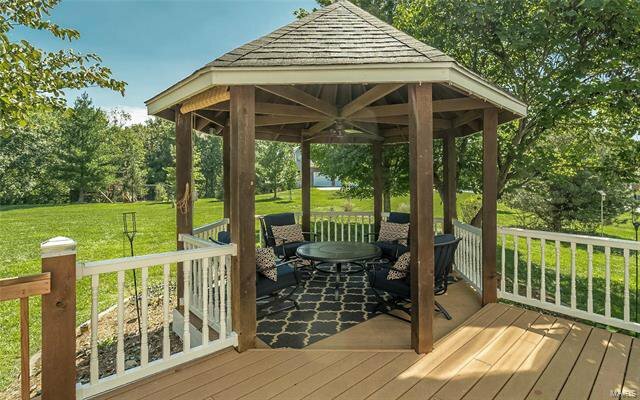 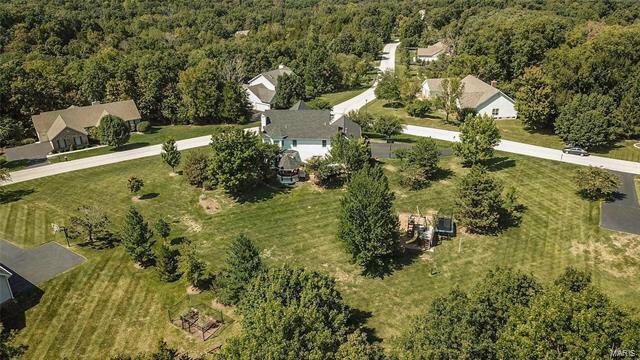 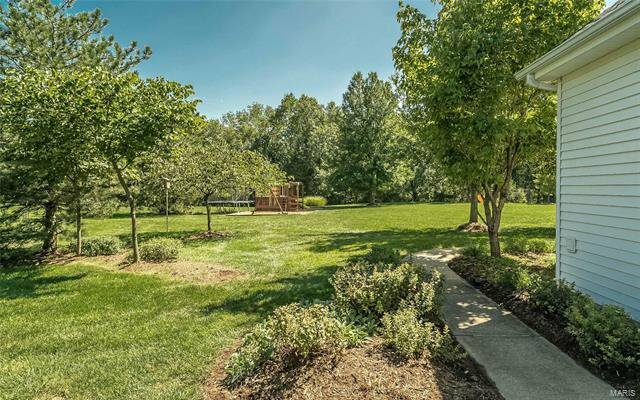 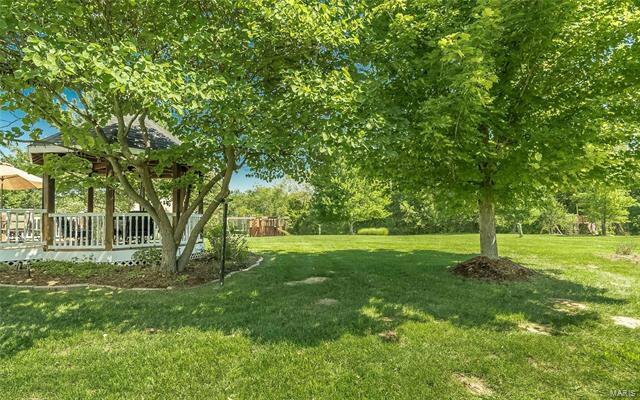 Enjoy the expansive view from the covered front porch and serene tree-lined acre+ yard w gazebo and maintenance-free trex deck. 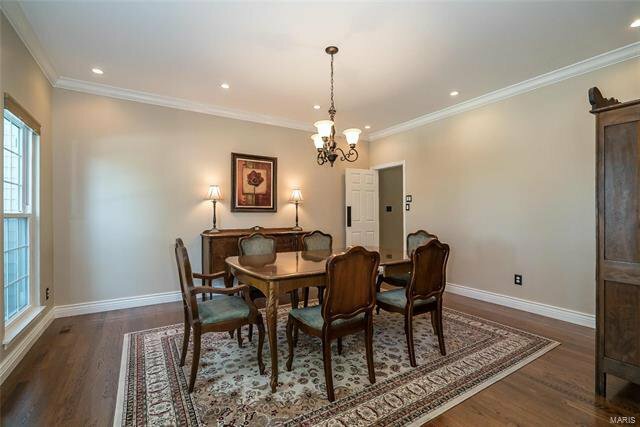 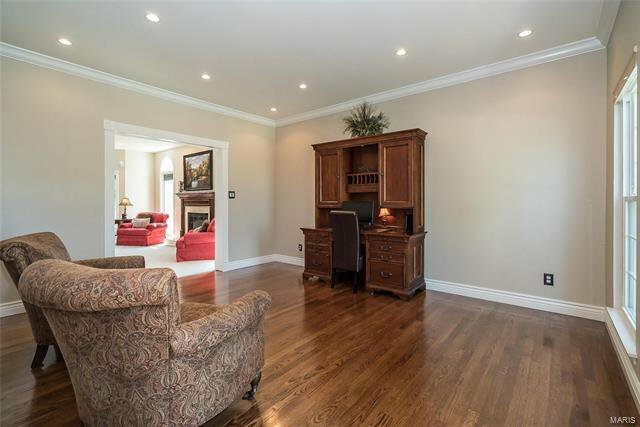 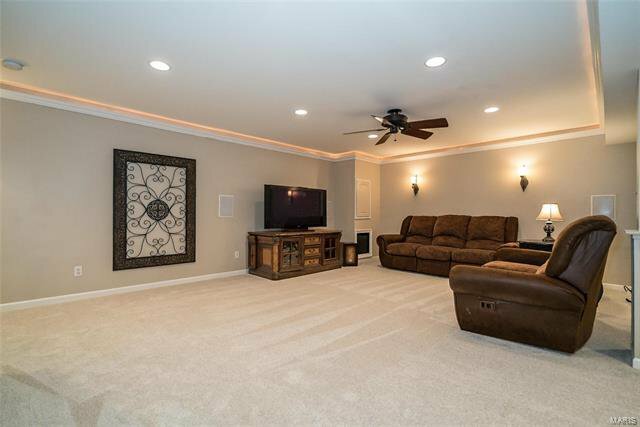 Hardwood floors on main level lead to window-lined spacious family room, custom kitchen w granite counters, bev station and SS appliances, and main floor laundry. 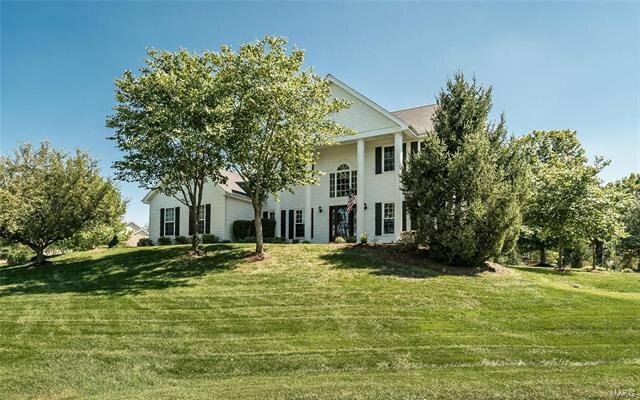 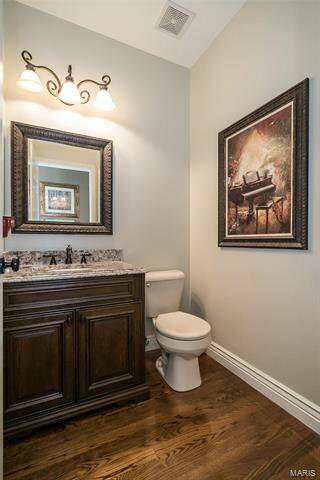 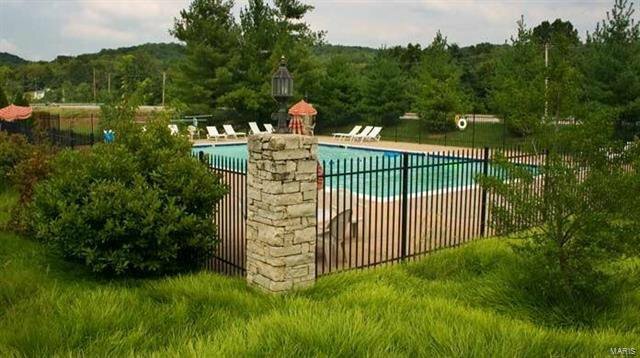 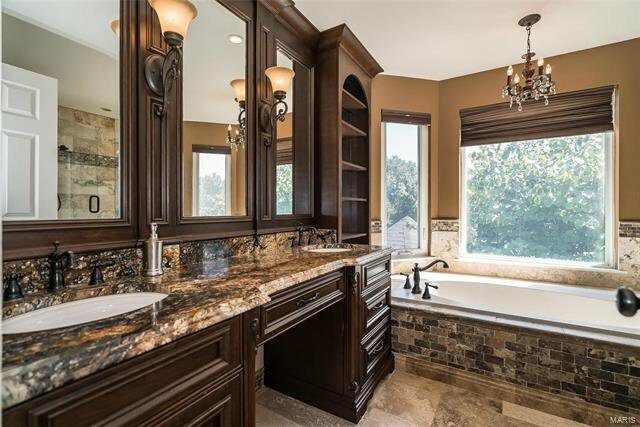 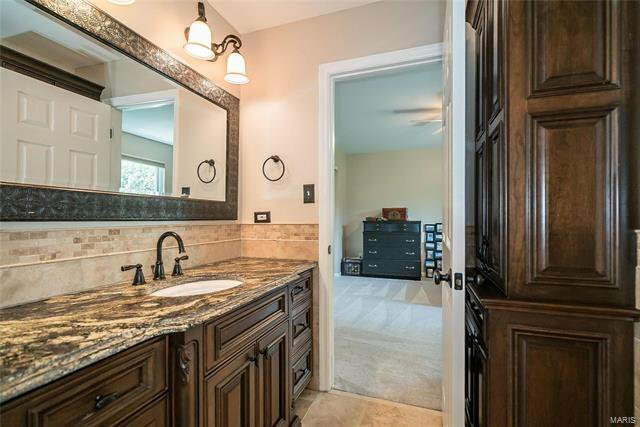 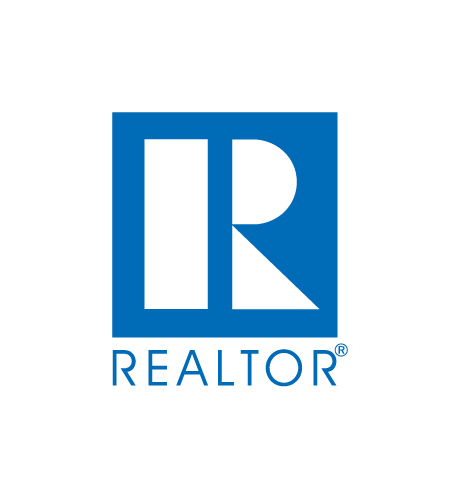 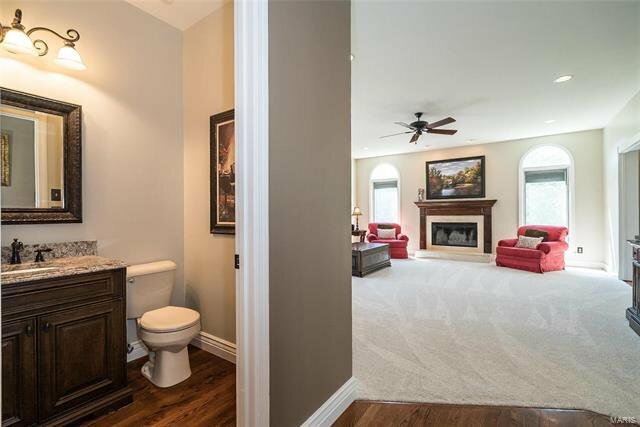 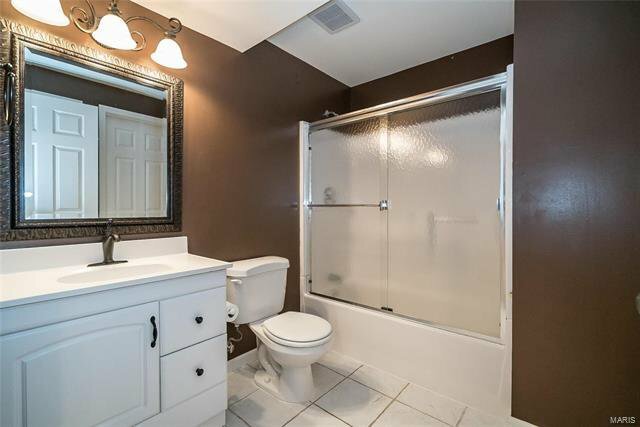 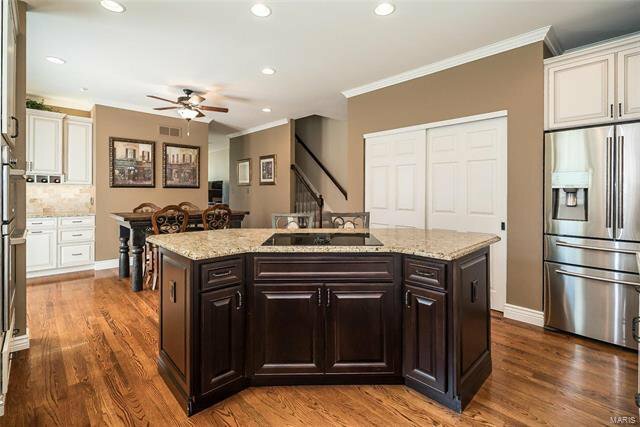 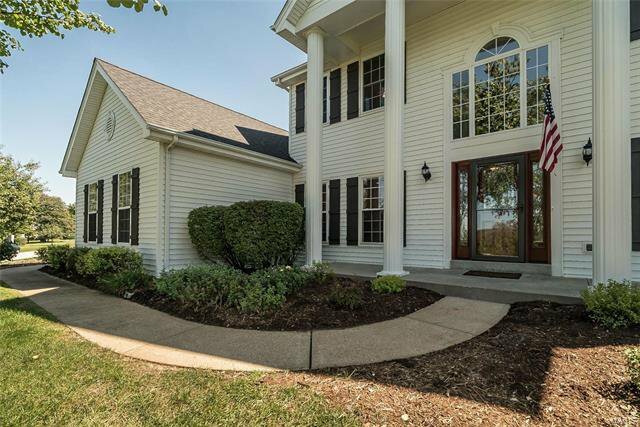 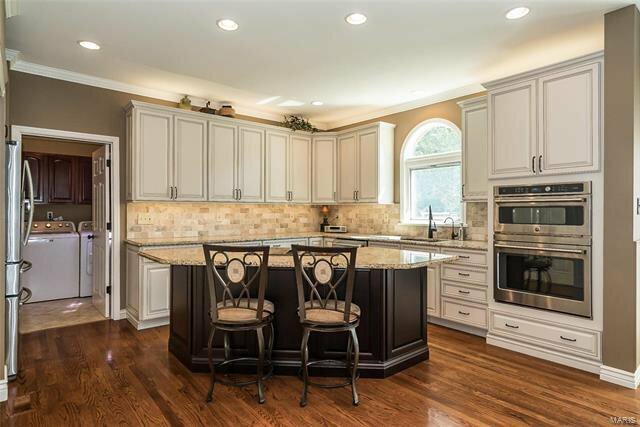 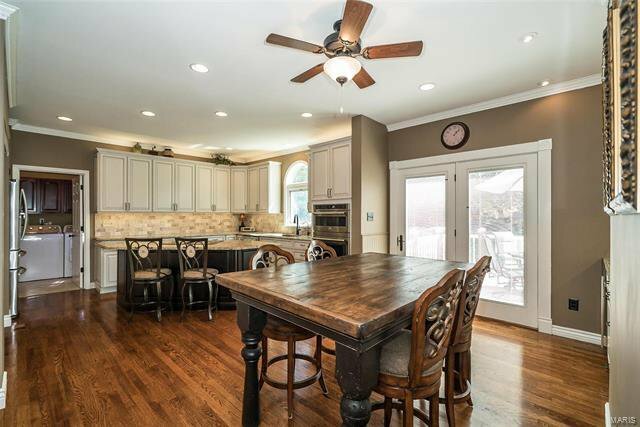 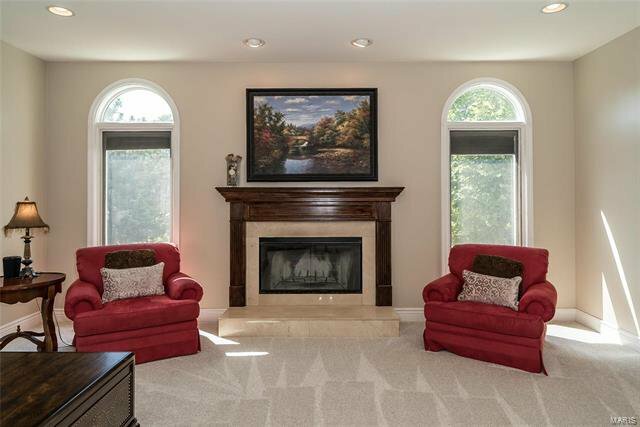 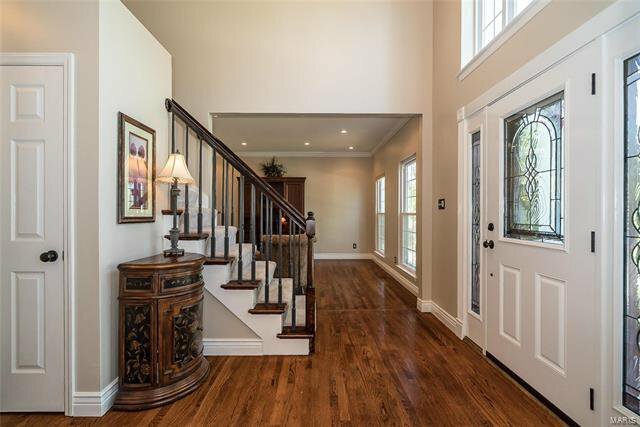 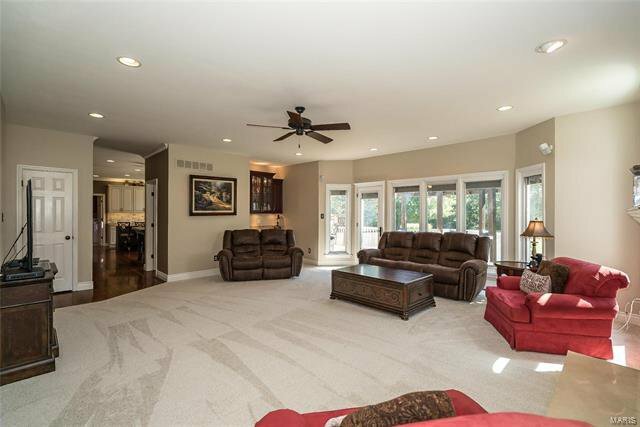 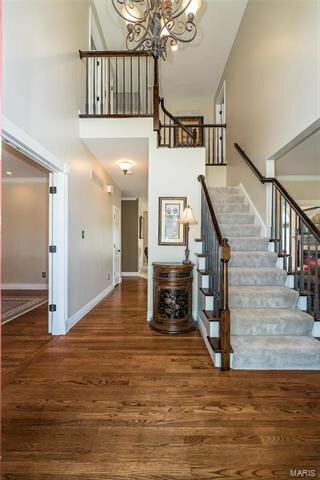 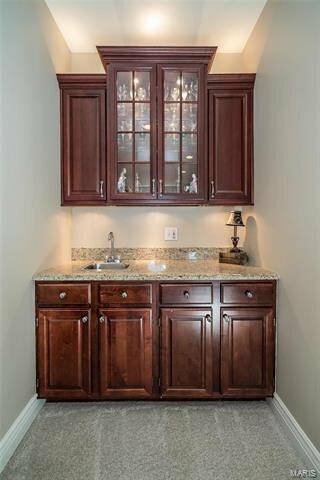 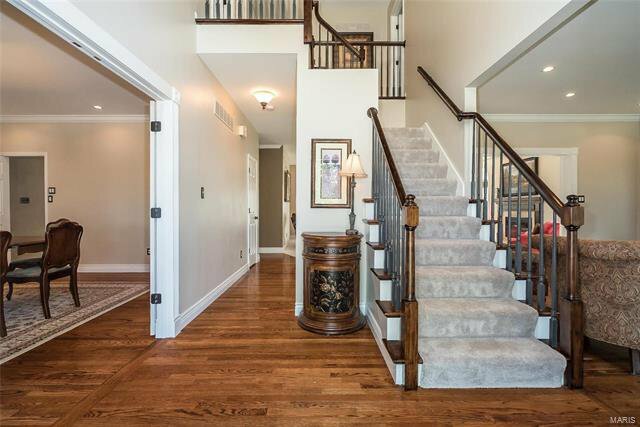 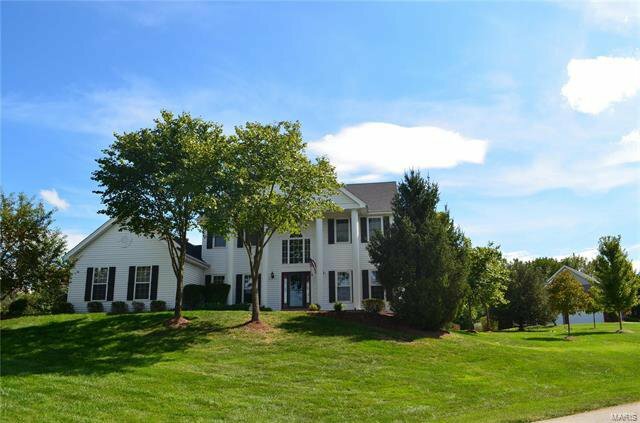 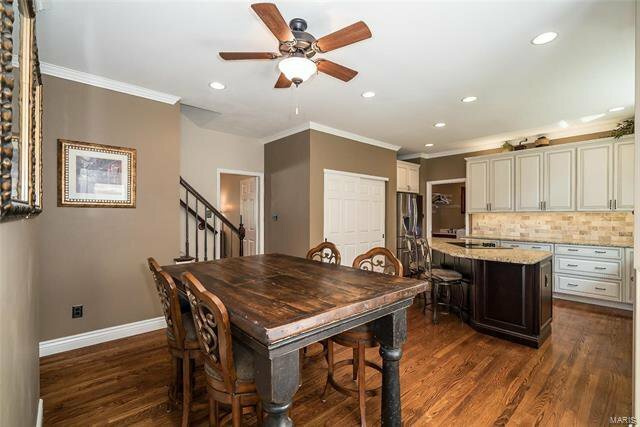 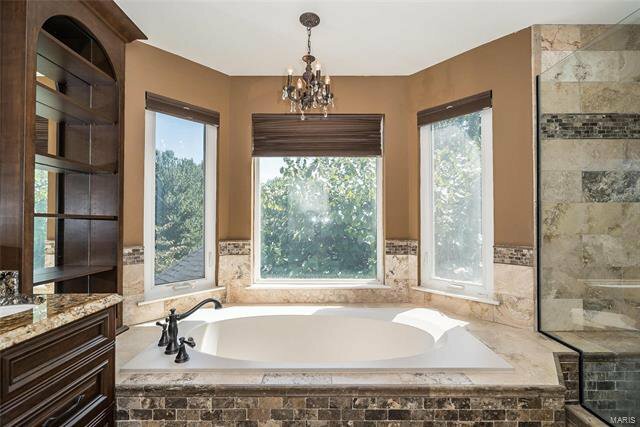 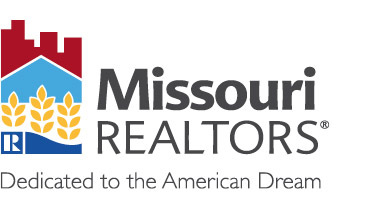 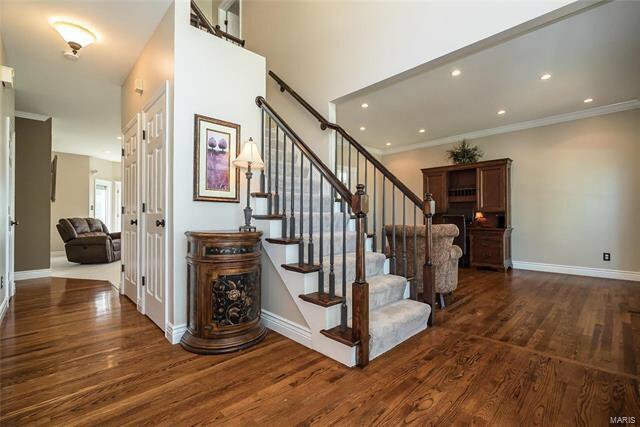 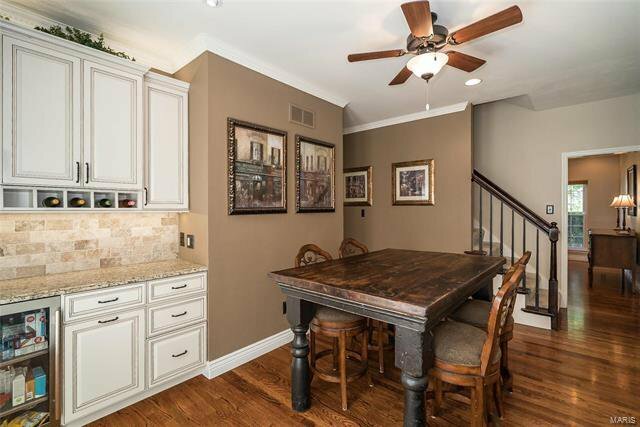 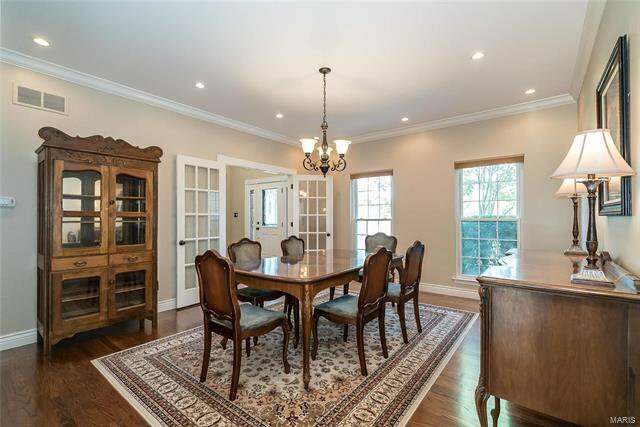 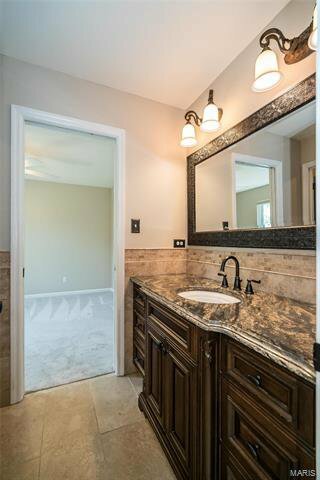 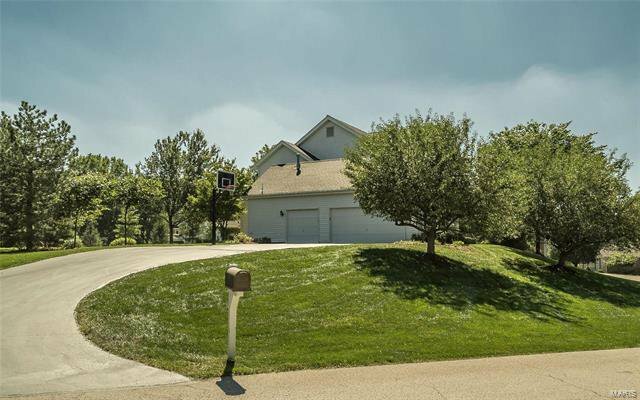 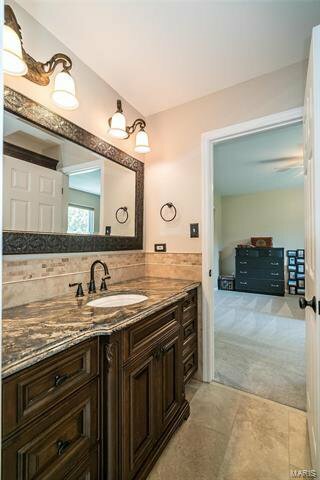 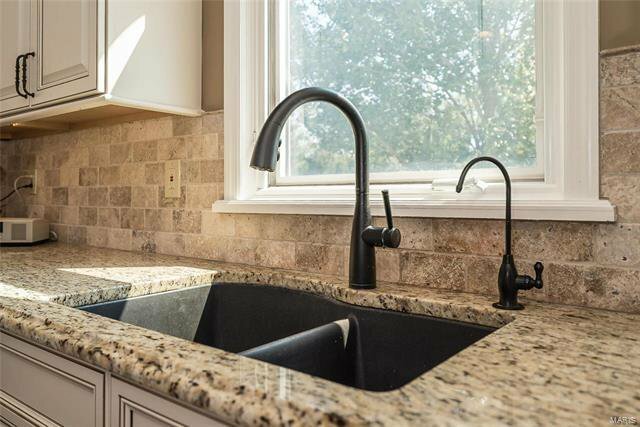 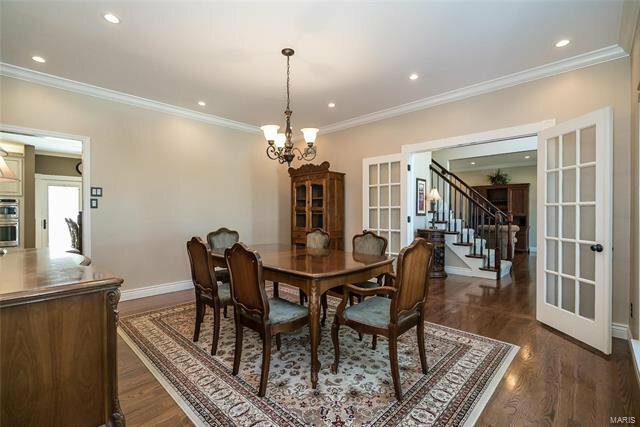 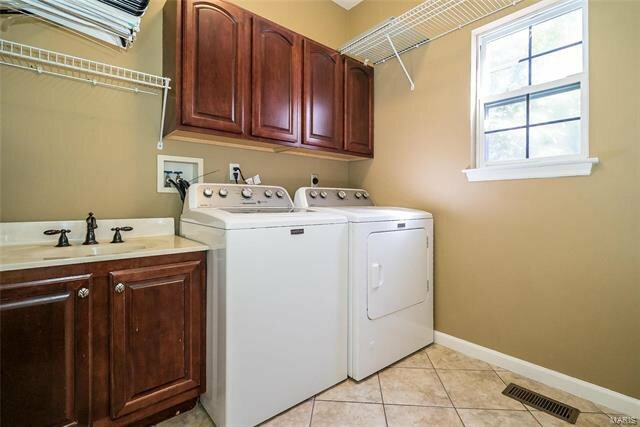 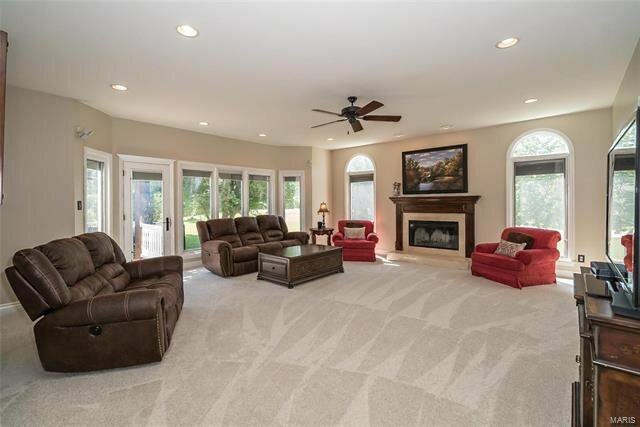 All 4.5 baths of the home are updated, most w custom cabinets, granite sinks, & tile floors. 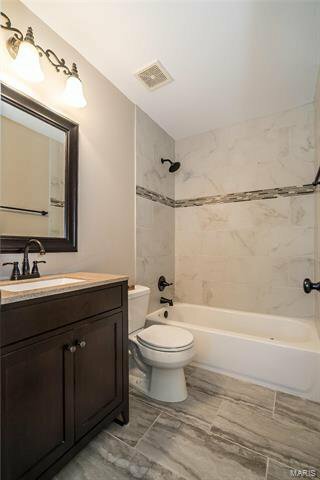 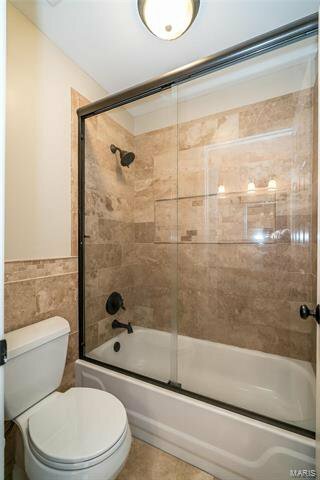 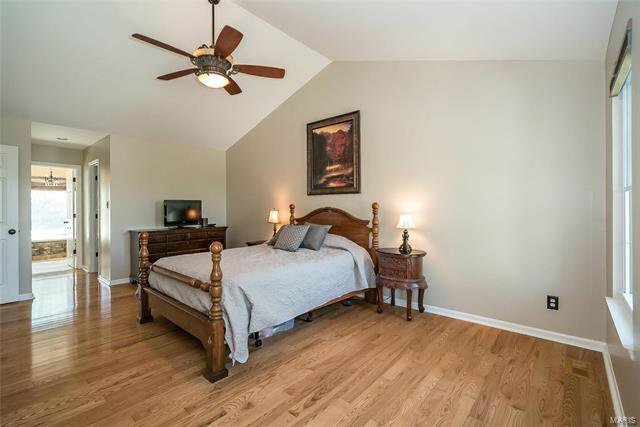 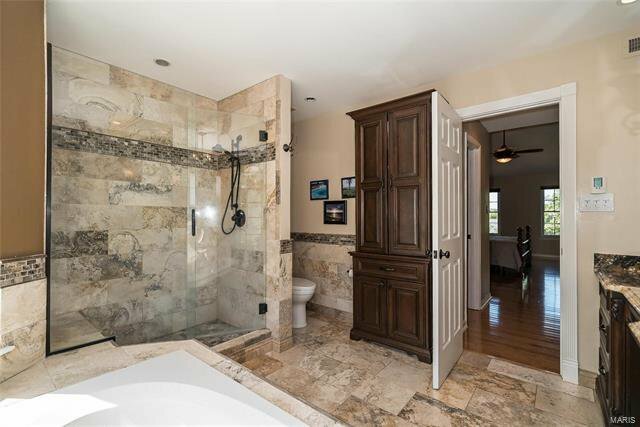 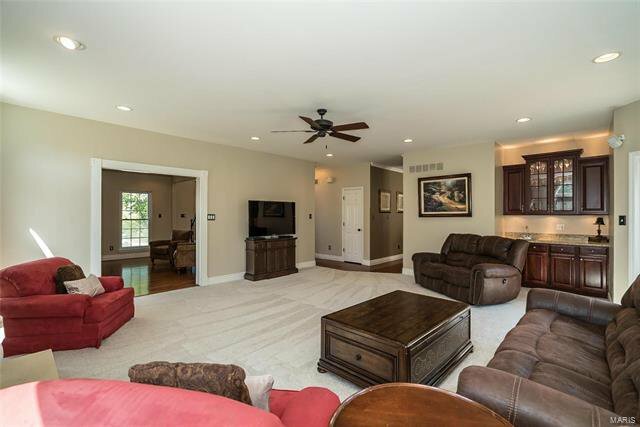 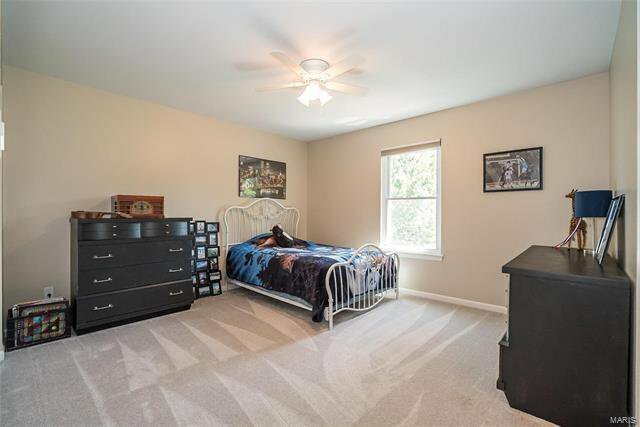 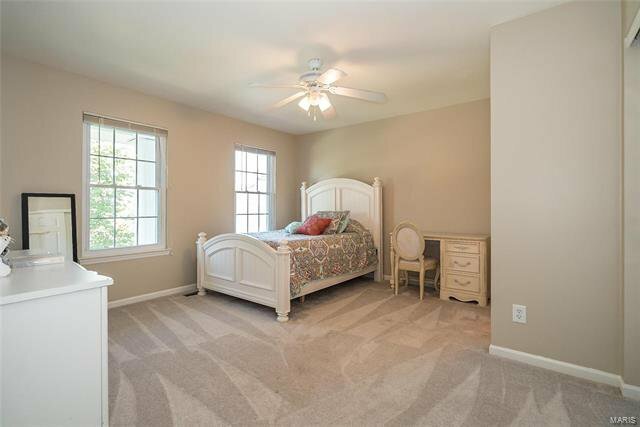 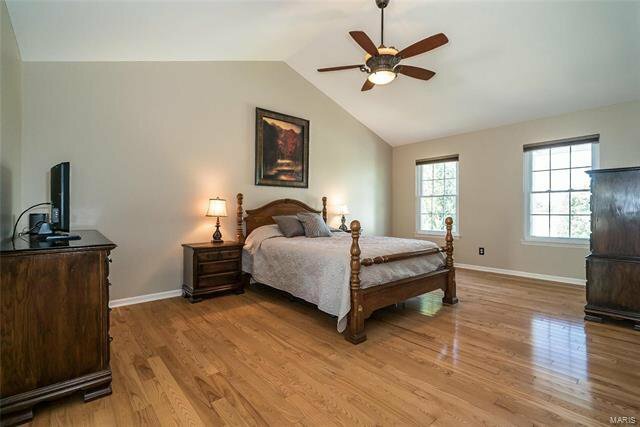 The luxurious master suite, updated 2014, has vaulted ceilings, wood & heated tile floors, & large bath w granite double sink, travertine tile shower surround and soaker tub. 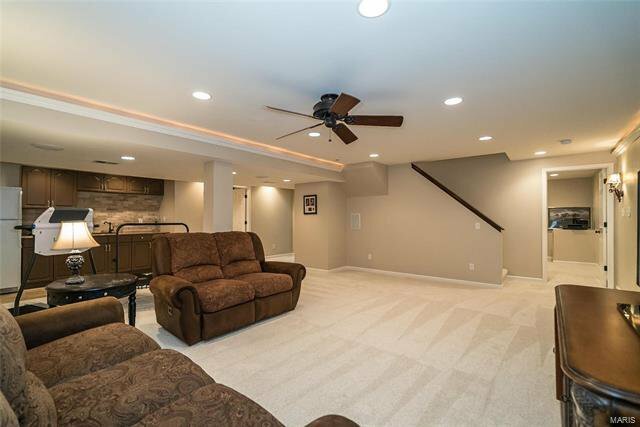 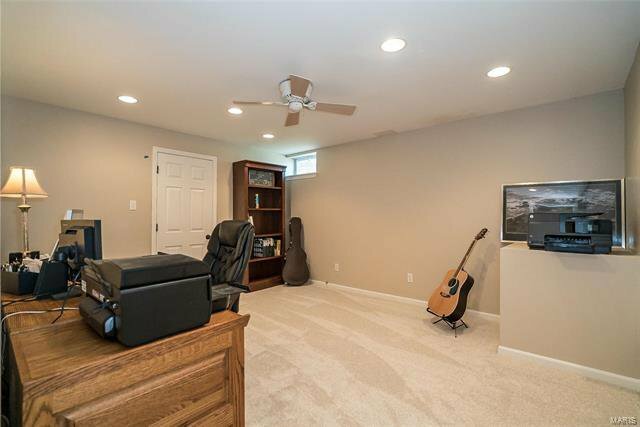 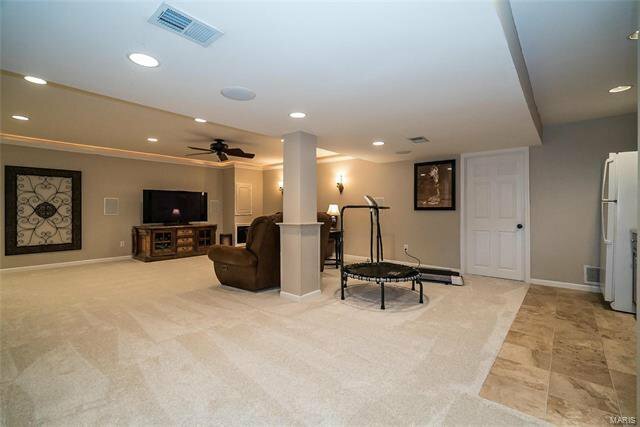 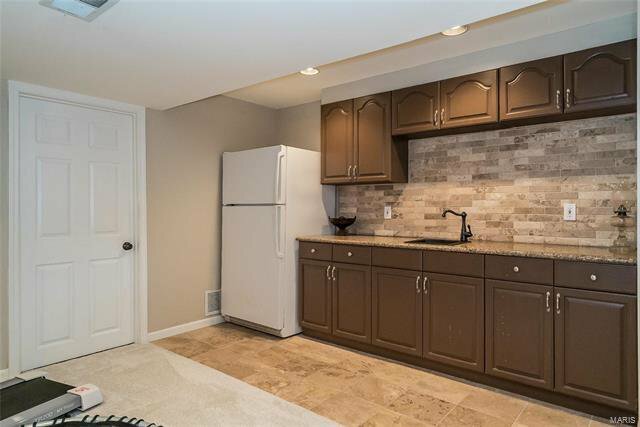 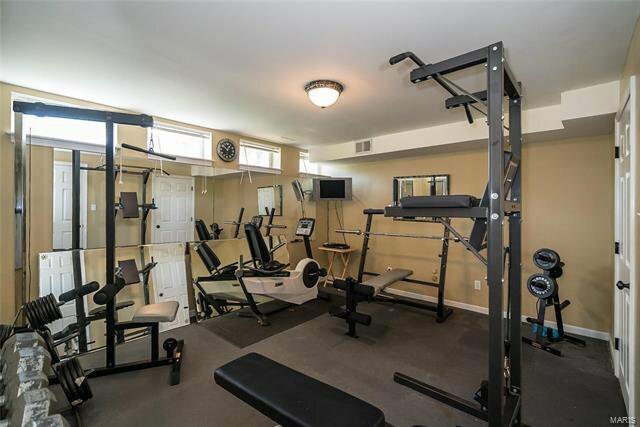 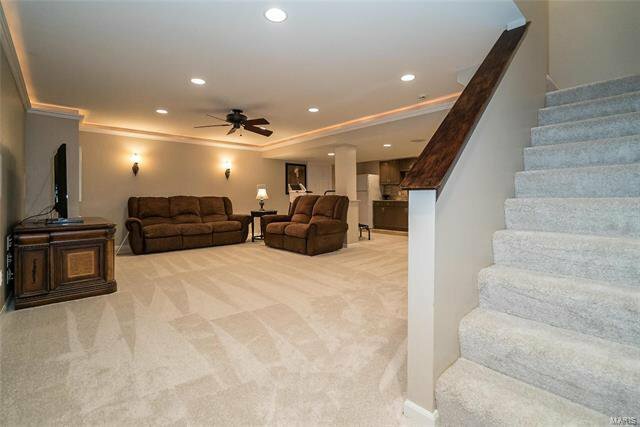 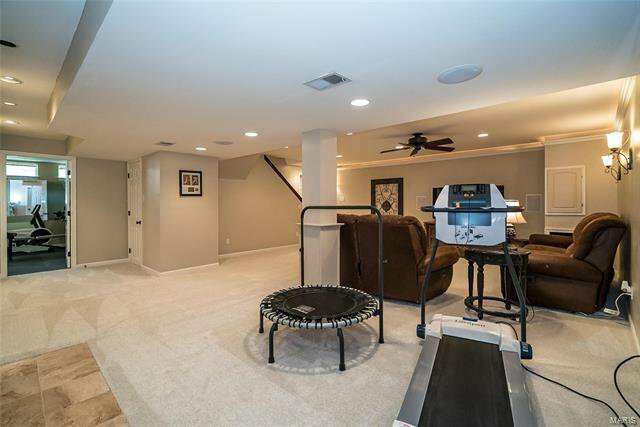 Finished basement includes full bath, wet bar, exercise room, office, rec room, & plenty of storage. 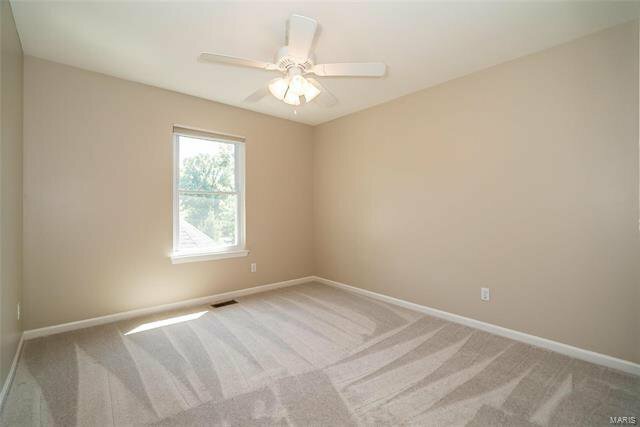 Also features newer roof (2017), new carpeting throughout (2018), new paint throughout (2018), whole house fan, and Pella windows and doors.